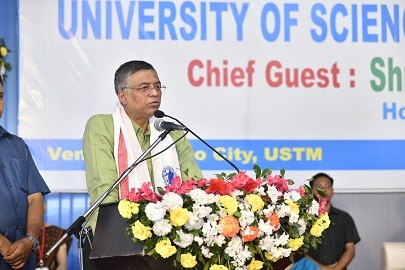 Assam education minister Siddhartha Bhattacharya was left red faced on Tuesday after the secretariat administrative department reinstated an employee of the education department who was suspended at the instruction of the minister. The secretariat administrative department revoked the suspension order of the senior administrative assistant of the education department Chandan Kakati on the basis of the enquiry report submitted by principal secretary, Revenue and DM department Rajesh Prasad. Chandan Kakati was put under suspension following instructions from the Assam Education Minister Siddhartha Bhattacharya on July 12. The order also stated that Chandan Kakati’s suspension period would be considered as on duty. “Chief Minister Sarbananda Sonowal ordered a probe into the matter and accordingly principal secretary, revenue and DM department Rajesh Prasad submitted the report. The SAD retracted Chandan’s suspension today,” Kalita said. The retraction order was signed by M Angamuthu, commissioner and secretary of the secretariat administrative department. Kakati was suspended from his service after he put up a file to transfer an officer of the education department. The education minister was reportedly angry with Kakati as he had incorporated notes of both the education minister and power minister Topon Kumar Gogoi to transfer the official. Bhattacharya was reportedly against incorporating the note from Topon Kumar Gogoi.